Please explain exactly what variable speed is. I'm trying to figure out exactly what a variable speed is. We just finished building and have 3700 sq ft. 2200 down and 1500 sq ft upstairs. Our downstairs HVAC is doing great, but upstairs it is struggling. We have closed cell foam throughout and I have the thermostat set at 74 upstairs and the AC runs all day and most of the evening and the temp reading is 76. I called the service tech and he said he adjusted the Freon and he said something about it needing to a being 10 and made it an 11. I explained to him that I really don't understand why our "variable speed unit" will only run on one speed and I thought that he needed to make sure that it was working properly. He said it was and that it was set to blow at the proper speed that it will not adjust itself that it has to be at a predetermined set speed, which is set at very low. We made the decision to upgrade to variable speed with the understanding that it would help with cost savings and that it would help with the humid southern air and the blower was "variable speed". We thought we were getting humidity control with our variable speed, but we can read the humidity levels just not adjust them. So my question is what exactly is variable speed? Our units are to be 3.5 ton 95% gas variable speed Trane down and 3 ton 95% gas variable speed Trane up. The tech kept mentioning yesterday that the outside unit was a 2.5 which got me curious and I pulled our invoice and we paid for a 3 ton but actually after looking up the model number it is a 2.5 unit. Now I am wondering about the inside units, we went to look at those numbers but they appear to have some damage and I cannot find anything on the numbers I was able to read. A variable speed motor is one type in a group of motors called ECM or electrically commutated motor. This is a name referring to a family of motors developed by General Electric that are direct current (DC) permanent magnet motors being operated from an alternating current (AC) power source. These motors are most commonly used as blower motors in HVAC systems moving air through the system and/or combustion fan motors on gas heating products. This technology allows for the AC current to flow through a bridge rectifier, which turns it into pulsed DC current. Passing it further through a control filter allows the speed characteristics of the motor to be altered. Some motors have fixed a single fixed speed, which is set by the manufacturer for each piece of equipment. A second layer of ECM motors are those that are somewhat field adjustable, allowing for several different speeds. Both the OEM (Original Equipment Manufacturer) models and the field adjustable models are called 'constant torque' motors because their controllers are designed to maintain a fixed airflow under varying conditions. That leaves just the Variable Speed motor as the final entry in the ECM line. The VS motor has a separate controller that can be programmed to deliver various speeds and/or torques. Because the controller is a separate component from the motor itself, it can be controlled by a 'communicating' thermostat. That allows the home/building owner to adjust the speed of the motor right from the thermostat. In that fashion the owner can select a speed to remove more or less moisture, provide for multiple different constant circulation speeds during call for heat/cool dwell cycles as well as provide for notifications for filter changes, constant monitoring of static pressures in the systems and other desirable benefits for the occupants. The ECM motors, when operating at lower static pressures are very energy efficient, using from 20% less to as much as 70% less electricity, depending on the status of the system. They're used exclusively on the multi-stage products. Restrictive (high static) duct systems will have a negative effect on the ECM motor as it is designed to try and overcome resistance to airflow and can use considerably MORE electricity to move that air than a conventional motor which would simply stall and not move the air. So the selection of a multi-stage or other equipment using ECM motors should never be done without a full load analysis on the home and a duct analysis and/or static check of the system to determine if duct improvements are needed before the ECM motor goes in. Finally, there are field installable ECM motors that can be retrofitted to furnaces and air handlers. Again, it is of the utmost importance that the static pressures of the system be low enough to prevent over heating of the motor and/or high energy bills. Proper duct design and installation is ever more important, while at the same time, ever more overlooked by a majority of the industry. How does variable speed differ from multiple speed and which is preferable? Variable speed is preferable. I almost exclusively put in variable speed air handlers and gas furnaces unless specifically requested not to. Variable speed allows you to set airflow in CFM's and it will maintain that CFM, if you have a lack of airflow the blower adjusts its speed up. Variable speed motors also use much less energy, anywhere between 30-70% less electricity depending on the mode of operation. A variable speed motor has multiple airflow settings that a technician will set a multi speed motor has multiple blower speeds not airflow numbers that a technician will set. When a variable speed motor is setup properly it can dehumidify and provide additional air cleaning properties and more even temperatures throughout the home. As for your Trane units... The tonnage they refer to may be the blower capacity of the unit. The upstairs Trane unit may have 3.5 tons of airflow capacity and the main floor may only have 3 tons of airflow capacity. Trane does not make a variable speed blower that is less than 3 tons of capacity and matched with a 2.5 ton AC could be the proper application. Alternatives for a cold air return blocked with insulation. The best solution is to remove insulation, because if they ran a cold air return in the exterior wall they didn't have the other choice to begin with. Am I in danger of carbon monoxide poisoning if my induce blower isn't working? Your furnace is not supposed to work if its inducer motor is not working. 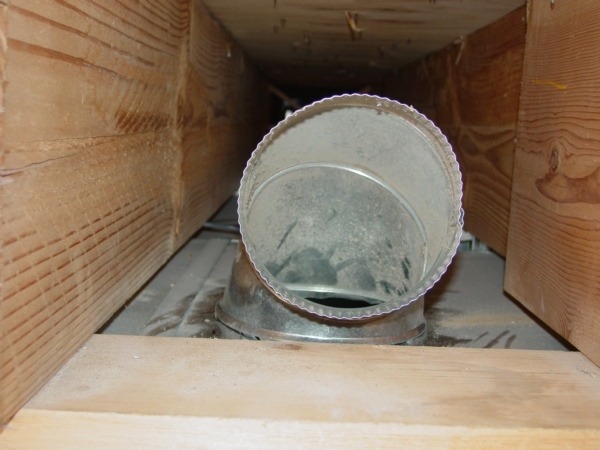 Are attic hvac supply ducts required to be off the attic floor? In the northern part of the country they could be installed on the attic floor, however in the southern part it should be off the floor. Are humidifiers needed with high efficiency furnaces? Blower leak around bottom of furnace. If this is an upflow furnace then they probably forgot to put a bottom panel in, if this is a downflow furnace just put a bid of silicone around it. Can a 6" duct be used for a cold air return? Yes, if you use it for your finished basement. Can an AC condensate line terminate into a vent pipe? Yes it can, but you need a P-trap that is deep enough, so it never dries up. Can bad bearings in a furnace cause a burning smell in the air vents? Can blocked exhaust shut off blower fan? Can closing of heating registers cause loud bang? Can forced air furnace have cold air return under furnace? Can homeowner put vibration pads under heat pump? Yes. And you can buy them on the right. Can I eliminate some air returns in my house? Can I hang a picture over air return duct? Only if it is a picture of your mother-in-law. Because it will give you another reason to be bitching about her. Can I heat my basement with only returns in the ceiling? Well, you can prevent your basement from freezing, that's for sure. 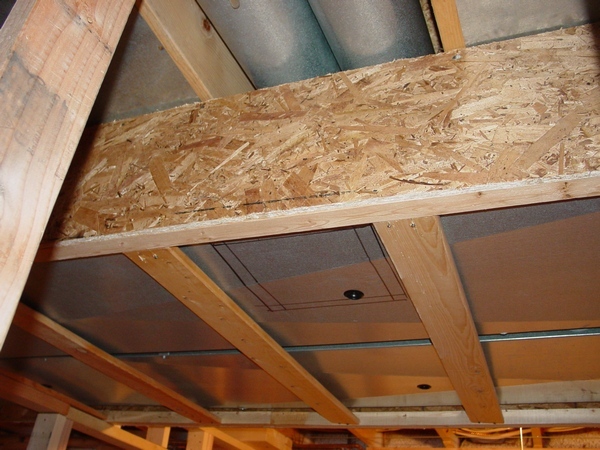 Can I make a furnace plenum out of plywood? This question came from Summerside, Prince, Edward Island, Canada! People are desperate there! Can someone supply some sheet metal to this God-forgotten place? Can I put a heat recovery system on my furnace exhaust? Yeah, this is great idea! If I say NO, would you believe me? Can I run a cold air return into the bottom of the main return duct? Absolutely, they name it "pipe in"! Get more info on this page. Can I tap into the side of a cold air? Can I use panning to patch a hole in ductwork? Can I use the utility room of my finished basement for cold air return? You can use an exterior wall of the utility room for a cold air return. Learn how to do that on this page. Can oil canning be the reason for ductwork to make noise? Oil canning is a noise that ductwork may make. Learn how to eliminate it on this page. Can spray foam prevent ducts from oil canning? However, the most cost cost-affective way of elimination of the oil-canning noise you can find on this page. Can the lack of a cold air return cause window condensation? Can you drop down a heating duct? Yes, why not, but make sure that your mother-in-law is nearby. (Just kidding). Can you install more than one evaporator? If you have a huge 40-years old furnace, then yes. Can you put a round fan inside a rectangular duct? I can't, but you... If it's your fan just do whatever you want! Cannot determine what made a loud noise in the house! Really? Just tell her shut the f..k up! Coil condensate drain & furnace condensate should be piped separately - not tied together. Controlling low humidity in house. Yes, learn how to raise it up and save on this page. Really? Tell them that they can't do it without reading on this page first. Do steam humidifiers ruin ductwork? I'm not sure, but read on the "forum" website that it might. Does a furnace in a walk in closet need to have fire rated cover? Does a high-energy efficient new home need a furnace humidifier? If your high-energy efficient new home has some bath fans, kitchen exhaust, fresh air intake or/and HRV, then yes you may need a whole house humidifier. Buy it on the right. Does closing off the vents in unused rooms ruin the ductwork? Does it matter how high you build a plenum on furnace? Yes, plenum should be 1" off the joists. Does my hvac system have to run straight up duct or can it be offset? Yes, you can put an offset. Learn how to calculate it on this page. Does your whole house humidifier work when fan is off? Drilling floor joists for furnace ducting. You cannot drill any joists unless it's TJI-s. However, only manufactures may provide info on where to drill and how big the opening could be. On my site I have three pages dedicated to this issue: Page 1, Page 2 and Chapter #60 from my "Ductwork Installation Guide" e-book. Visit this page and learn how it should be done. For ductwork, do you need one screw or three screws? If your pipes are in the joist space one screw is enough. The second screw makes two pipes unmovable in one plane, the third - in both. First 10' of the fresh air intake should be insulated. Furnace bangs when going to slower speed. 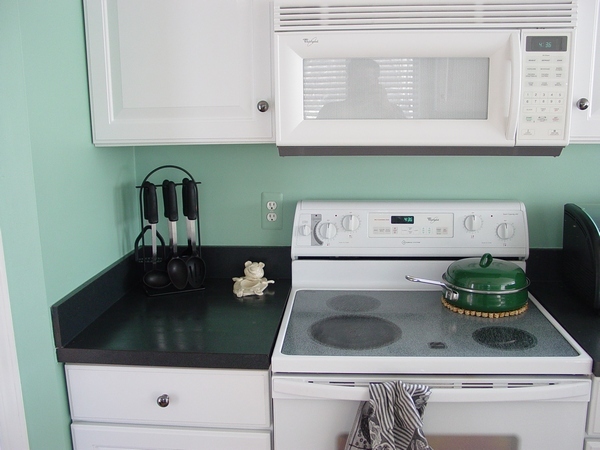 Most likely it's ductwork making the noise, find a solution on this page. Furnace will not engage without being hit with a hammer! Really!?! Try a sledge hammer to make a fix permanent! If your house has only baseboard heating you can learn how to convert it to central air on this page. How can I calculate how much water is produced on a sweating ductwork in an attic space? Well, I'm not sure if there is a particular formula for this kind of calculation, but I'm pretty sure that this won't help you to resolve the issue. How can you tap into a long return duct with a return register that goes to the first floor into a basement room to keep a room warm or cool? I'm not sure that I understand this question without seeing it. So, if you have a question like this one go to this page, send me an email and we will start from there. How create zoning air conditioning systems with one unit? I have a chapter dedicated to this issue in my Finished Basement Edition. How do I get my cat out of a cold air return? Oh, man it is very simple! Turn the furnace on and hit a duct with a hammer! As a result, you are going to get a fresh smelly mince! (Just kidding!). Open both end caps up and try to draw your cat out. How do you connect galvanized metal sheets to wood for a roof? If you are connecting it from the outside use roofing nails, from inside - ¼" zip screws. How often does a condensate pump cycles? How to attach to air returns without cutting floor joists? It's against code to cut any joists. Learn how to attach a cold air return on this page. How to become a sheet metal duct installer? 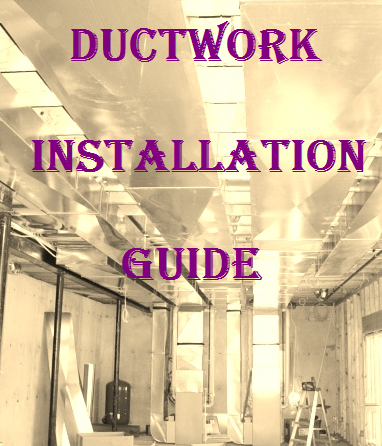 Buy my Ductwork Installation Guide e-book first and learn for yourself if this profession is right for you. How to discharge condensate pump into kitchen sink drain? Drill a hole in the top of the horizontal span of PVC pipe, shove the tube in, apply some silicone and fasten the tube to the pipe with black electrical tape. How to extend ceiling hvac register for kitchen remodel? Answer to this and to other related question you can find on this page. How to install hvac insulation with pictures? Find an instant access to the paid page on this page, four video clips included! How to keep attic flex duct above dew point? You can switch fan in on position. Learn more on this page. How to make duct tape? I received this question from Brainerd, Minnesota. People are desperate there! They need duct tape so badly they are willing to make it themselves! If you are from the duct tape industry please help!!! How to run heat ducts under a basement beam? Try to run it above; if your ductwork is too big, you can split it. Hvac condensate line out the crawl space keeps freezing. You should connect it to the sewage line. Hvac duct work funny pictures. Yeah, I think that this is a great idea! If you have one or two send them to me and I'll pay you $1.00 a piece. If you also submit your funny comments to those funny pictures, I'll pay $3.00 a piece! I am putting a cold air return in my basement is it ok to tap into an existing line? I am putting in a high efficiency furnace can I use the old plenums? If a humidifier is turned off, should the valve be off too? Yes. But if you are asking about a valve on the waterline to the humidifier, then no. If I add a register, do I need to add a cold air return? Well, it is not necessary, but desirable. If you close furnace intake vent can you get carbon monoxide? Indian duct installers in USA. This one came from Coimbatore, Tamil Nadu, India! Believe me if you speak English you do not need them, because our installers are much better! Is 27% of humidity too low? Yes, learn how to raise it up and save on this page. Or/and just buy a humidifier on the right. Is 4 inch round pipe duct good enough for a bedroom on second floor? Well, according to the Manuals J and D, it is possible, but I would run it in 6" pipe. Is 6" round pipe for 600 cfm enough? No, it can handle only 100cfm. Is it bad to block the intake vent for furnace? Is it bad to have a cold air return in the ceiling? From aesthetic point of view it looks terrible. Is it dangerous to clean condensate pump in furnace by myself? No, but unplug it first. Is it normal to smell somewhat of a gas smell at vent on outdoor unit? Is there a good web site that explains how to install ductwork? This question came from Morgantown, West Virginia and a search engine sent this visitor to the Wall of Ignoramuses page. It's looks like that this particular visitor was in a hurry, because he wasted no time on the page and on my site, and after 0 seconds he just bolted away! However, I'm not surprised, Google gave him 4,500,000 results so he need quite a bit of time to check them all out! That visitor had just came and gone, but can someone answer the question above? Please type you answers on this page. Live in Arkansas; is our heat pump outside the house, tied into the air conditioning? Heat pump is another type of air conditioner, which can be used as a heater in the wintertime. Make my own stovepipe crimper. You do not need to invent a new tool, just use long nose (needle nose) pliers. Or buy a crimper on the right. Proper way to install wall stack ductwork in old homes? 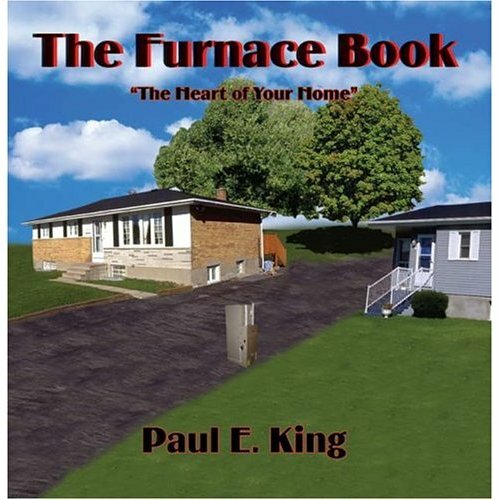 Well, almost half of my Ductwork Installation Guide e-book dedicated to this issue! Random popping noise in wall when dryer on. 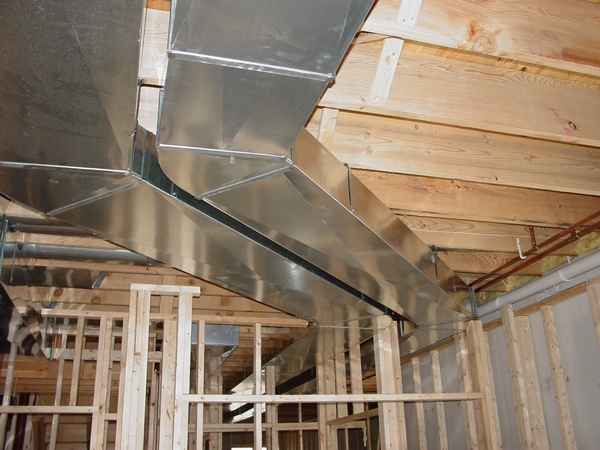 Learn how to do that on the Ductwork Relocation page. And you can buy some ductwork on the right. Should the cold air return be mounted above the thermostat? Well, it can be installed above the thermostat. Should there be an elbow on the 3 in pvc pipe exhaust side of my American standard furnace? It is not always necessary, but normally it should be two elbows: one up and another out. Should there be ice inside the insulated air intake on my furnace? So I am looking to purchase an older home in Baltimore MD 1954. I am trying to figure out what the name of these registers/vents are. The house uses gas if that helps. I am curious because I hate the way they look and if I purchase this house that's #1 on the renovation list. This is a convection style radiator. It's circulating water then you can certainly change out to something a bit smaller and less of an eye-sore. Just an example above. Should you put clothes on top of a furnace? Personally, I wouldn't do that. Step-by-step illustration of how to tap into existing ductwork. You can find it on this page. What can cause a bypass humidifier to leak? Dirty and/or disintegrated pad. Buy one on this page below. What causes a furnace to whistle or sing? When the heat cycle of furnace shuts off, I hear a bang song. Singing furnace? Nice! Can it dance as well? What does the tube do that runs from my furnace humidifier into the floor? I think that this is a drainage tube. What happens when 95% efficiency furnace isn't level? Then it accumulates water inside. What happens when ductwork to a heating unit has been stepped on and smashed? Not good, it should be replaced. What happens when the gas vent of gas furnace got partially clog? A new furnace most likely will shut off. Fumes from an old one will go into your house. What is the big fan at the bottom of a Goodman Furnace? What type of material to use to seal air gaps around gas furnace? Silicone. And you can buy it on the right. When closing off a heat register vent should you close off the cold air return? No, get more info on this page. When my furnace comes on there is a crack sound from my wall! 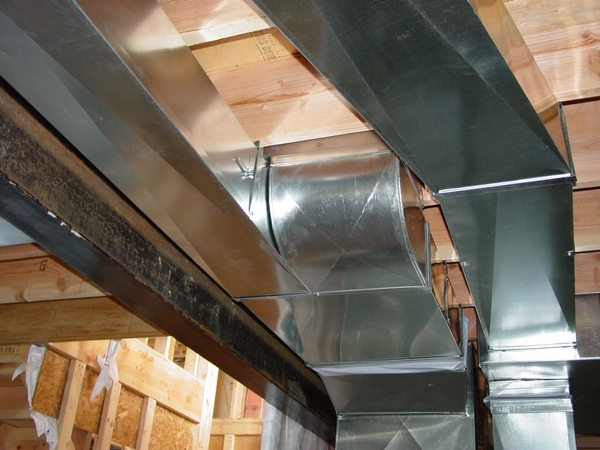 When to install central ductwork during a remodel? 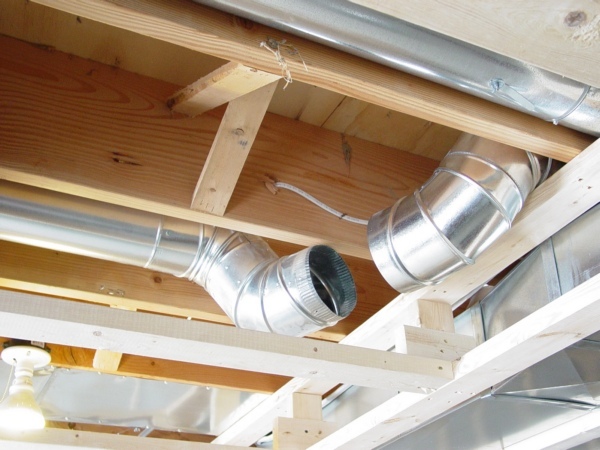 Start to install ductwork after or during plumbing installation, but before wiring. Who does the best work on installing hvac ductwork? Why do my heating ducts make farting sound? Why do you need cold air returns to make a furnace efficient? How's that: You do need a cold air return to make a furnace efficient! Why is return air not allowed in commercial kitchens? Who said that? If you have a roof top unit it must have a return air. Why should I buy a condensing furnace when my 21 yr old furnace is problem free? Because it’s probably only 60% efficient verses 95%+, and because you still can catch a slowly disappearing tax credit! Will a dirty evaporator coil make the heat pump compressor louder? Will having a humidifier make my furnace run more? No, actually, it may make you lower the temperature in your house and as a result, your furnace would run less. Will new windows help with low humidity in my house? Yes. However, the best result will provide a humidifier. Learn how to install it on this page. Will running warm dehumidifier warm the interior of flex duct and keep it from sweating? Well, it might help. How would you do it? This message is to my Arab friends and beyond! Google translated it as - Installation of smoke and the duct... I know, I know this translation doesn't make too much sense, but I believe that if you spend a bit more time on my site you may find a lot of useful information there.